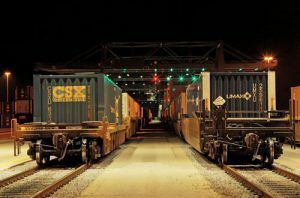 Kansas City Southern (KCS) has announced a new weekly intermodal service between the Port of New Orleans (Port NOLA) and Wylie, Texas, beginning in May. 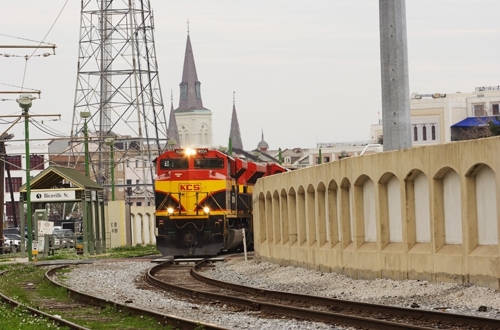 Intermodal service had been offered previously in this lane but was discontinued following Hurricane Katrina in 2005. The Class 1’s David L. Starling Wylie Intermodal Terminal launched operations in 2015, serving domestic and international intermodal customers. 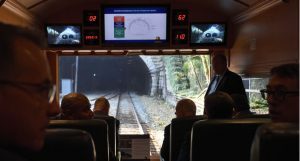 The intermodal terminal is equipped with an automated gate system featuring high-definition imagers, optical character recognition and biometric driver identification. The terminal also includes 1,500 parking spaces, 400 container stack spots, enhanced traffic signals, specific turn lanes, two 5,000-foot intermodal tracks. By late 2018, the terminal is expected to have an annual lift capacity of more than 342,000 units. 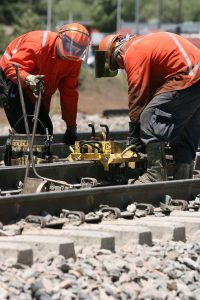 Port NOLA is a multipurpose port with on-dock rail service, connecting to major inland markets and Canada via 14,500 miles of waterways, six Class 1 railroads and the interstate highway system, officials explained. 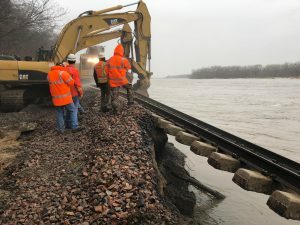 Port NOLA acquired on Feb. 1 the New Orleans Public Belt Railroad, a Class 3 switching railroad, with the goal of serving the port, KCS’ Class 1 rail partners and the local industry, KCS said.